a bottle lasts about three months. Combined with the shampoo it enabled the hairregrowth in the area that was affected by alopecia. After about two months of use in combination with the shampoo of the same line, I can definetly notice the effectiveness of the product. Hair fall has almost stopped, the hair is stronger and thicker. I already see a start of regrowth in the bald areas of the scalp. Easy to apply, you need just a little bit to massage the scalp and it is not greasy like regular hair lotions, great !!! Hi, I've been using the MGT for about a month along with the shampoo and surprisingly hair loss has slowed down considerably. It is easy to apply , just put a little bit and thanks to its gel form it won’t leave your hair greasy. It is definitely a high quality trichological line! If you want more detailed information about this product, please search over the web for the manufacturers official page by inserting "Hlcc MGT-Maximum Growth Therapy" or contact our customer service. 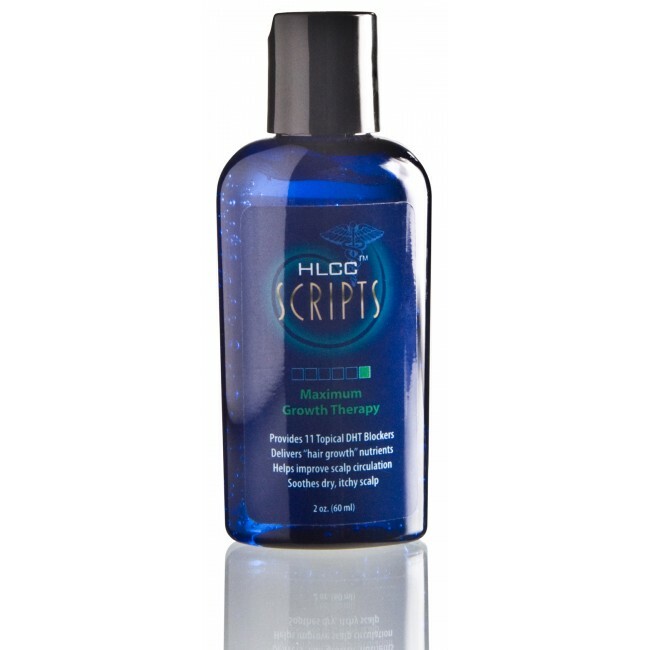 Apply to a dry scalp and massage gently with your fingertips into the treatment area. Allow to dry. Recommended applying it in the evening before bedtime. It can also be used on damp hair as long as the scalp is dry, otherwise the effectiveness is diluted with water. The texture looks a bit like a gel. The package is 60 ml. Water, panthenol, SB 40 B alcohol, saw palmetto extract, glycerin, MSM, Niacin, nettle extract, flax seed extract, green tea extract, pumpkin seed extract, evening primrose extract, triethanolamine, polysorbate 80, borage oil , cysteine, biotin, inositol, niacinamide, zinc sulfate, linolenic acid, carbomer, dimethylol Dimethyl Hydantoin.